Marine Insurance was the earliest well-developed kind of insurance having its origins in the Greek and Rome. 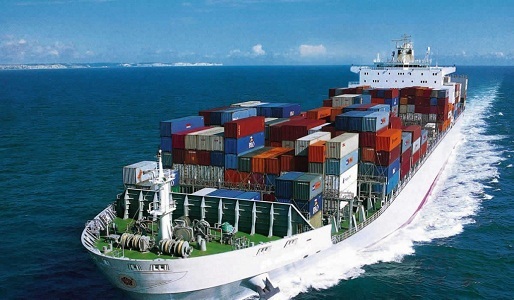 In Bangladeshi context, marine insurance is very much relevant since Bangladesh is a maritime nation and the seaports are busy with loading and unloading cargoes carried by local and international flag-bearing vessels. International flag bearing vessel owners cover their risk by becoming a member of international P&I Clubs. Besides, cargo owners also cover their risk by ensuring their cargo from different global insurance companies. Bangladesh flag bearing vessel and Bangladesh cargo owners/shippers cover their risk mostly with local insurance companies. On the other hand, general insurance covers property insurance, liability insurance which are not marine risk etc. Principals developed in age-old marine insurance law, e.g. a duty of utmost good faith and not to make any fraudulent claim are also applicable in general insurance. The Insurance Act, 2010 which repealed the Insurance Act, 1938 is the governing law for both general insurance and marine insurance. It is not very uncommon that due to the collision, false delivery of cargo, local and international embargo etc. both P&I Clubs and insurance companies are required to step in rescuing their customers mostly in Chattogram Port & also in other international ports, where cargo/vessel are from Bangladesh or destined to Bangladesh. The insurers not only involve themselves in investigation and survey to assess liability but also assist their customers at different levels under Sue and Labour cover etc. We are as one of the Leading Law Firm advising and representing Clients on several marines and general insurance matters for a number of years. 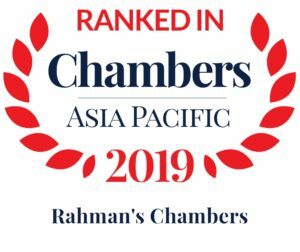 Rahman’s Chambers has been recognized as a “Spotlight Law Firm” and also ranked for “Shipping” by Chambers and Partners, 2019. We have represented a number of globally leading P & I Clubs involving several marine risks covered under marine insurance policy for both hull and cargo successfully. On the other hand, we also acted for a number of general insurance companies recovering outstanding premium and also advised various clients over drafting several insurance contacts on disputes involving insurance claim. We have advised Mitsubishi Hitachi Power Systems Ltd., Japan jointly with Kim & Chang, South Korea on EAR insurance policy issued by Hyundai Marine and Fire Insurance Co., South Korea involving new Haripur Power Plant development project, Bangladesh. We have advised and initiated proceedings for Leatherex against a local insurance company for recovery of a claim arising from burglary and housebreaking policy. We have successfully represented a local bank in execution proceeding by adding a claim under insurance in the schedule of assets. We have provided legal consultancy and drafted IGPA for receivable of insurance premium assignment of insurance agreement for Bangladesh Infrastructure Finance Fund Limited (BIFFL). regarding their claim and the vessel was then detained. Eventually, both parties reached an out of court settlement which ensured full discharge of cargo and release of the vessel. We have successfully represented a leading P&I Club and the owner of M.V. SUPRAMAX VIVI in a collision matter arising within the territory of Bangladesh. A very first suit for limitation of liability has also been filed by our firm under the coverage of P&I Club in this matter and the same has reached an out of Court settlement up to client’s satisfaction. We have successfully represented the owner of M. V. GLOBAL HARMONY and the concerned P&I Club regarding claim of lien over cargo deriving from failure to pay freight. The matter was successfully resolved out of court with the involvement of a leading P&I Club while protecting client’s best interest. We have successfully released a Marshall Island flagged vessel from detention for owners and a leading P&I Club in a sensational collision incident with naval combat vessels of Bangladesh Navy by submitting local Bank guarantee and overcoming several obstacles. We have represented the owner of M.V. MARINA R in a collision claim arising within the territorial water of Bangladesh. We were able to successfully release the vessel under a letter of undertaking issued by a leading P&I Club. The relevant admiralty suits were finally withdrawn through an out of court settlement with our active participation. Representing clients before all level before Court, Tribunal, Arbitration or Mediation. West of England P&I Club, U.K.